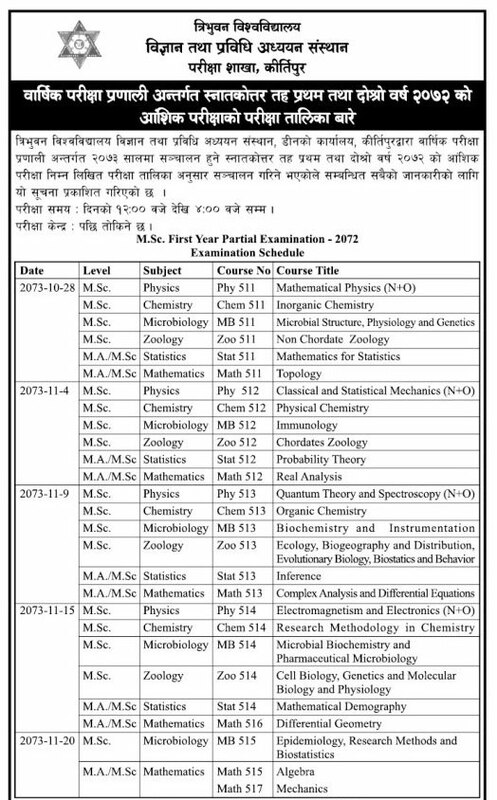 Tribhuvan University, Institute of Science and Technology, Dean Office has published M.Sc first & second year Partial Examination Schedule 2072. The Examination of M.Sc first year will start from 2073-10-28 and ends on 2073-12-07The Examination of M.Sc Second year will start from 2073-12-18 and ends on 2074-01-27. The examination has been set to 12-4 pm.